PR should be a cornerstone of almost any small business growth strategy. When potential customers see you, your product, service or business mentioned in the media – be it online, print or broadcast – it carries more weight than a paid ad. Readers see it as validation or even a perceived endorsement. Such media mentions are a form of what’s called “earned” marketing. Business owners will typically get more for their money by going with PR over advertising. While PR agencies and PR contractors who specialize in small business can be helpful, it’s possible to get great results on your own. But it takes some time and effort to learn the basic PR ropes. A consistent PR effort will build awareness and visibility for your business, and increase your odds of gaining coverage. That in turn can help boost sales, secure partnerships or land more funding. Keep in mind that press releases aren’t what they used to be. In the past, they were meant mainly to get the attention of journalists and editors. But they serve a much broader purpose now. When you issue one today – especially via a PR distribution service – it will live online and be findable through search engines. So the potential audience is much broader. Make it valuable and interesting: The most effective PR includes information that provides value to readers by addressing a need of some kind. For example, offering helpful tips of your own about how to get the most from the product or service you sell. Or you might offer a checklist of some type or discuss the results of a survey. Lead with your hook: Your “hook” is the single most compelling reason for doing the release. Make sure to put it up front, and make it attention-grabbing. Write it as if you’re creating a search engine listing – keep it concise and provide the key information first. Answer the five W’s: who, what, when, where and why. Give it substance: After the opening, add more details – including data and quotes from you, outside experts or customers. Keep in mind that Google favors content that has substance and is well-written without lots of jargon. Use short sentences and bullet points. Depth and quality help your release stand out. Add multi-media elements: This might include a photo, video or PDF attachment. Research shows that press releases with photos average 1.4 times more views than text-only releases. Those with videos do even better. Include a call to action (CTA): The CTA is meant to spark an action. This might be visiting your website, downloading an e-book or other content, or calling your business. To avoid confusion, focus on a single action. Close with your company boilerplate: The boilerplate is a one-paragraph overview of your business that concisely describes what you do and where you fit within your industry and geographic area. To see examples, read other releases on a PR site, such as PR Newswire, PR Web or BusinessWire. Include media contact information: At the bottom of your release, include media contact information – an email address and phone number. Your media contact should be a spokesperson for your business, and someone who will be accessible if someone from the media wants more information. PR Newswire offers a free, online PR Toolkit for small business. It includes press release writing tips and templates, along with demos and webinars. You’ll find it at SmallBusinessPR.com. 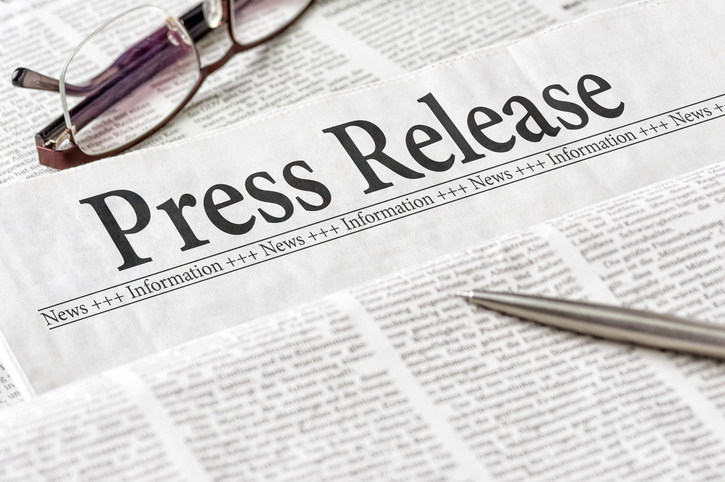 Cision – an online media database and PR distribution platform – offers a helpful report called the “Quick and Easy Guide to Sharing Your Press Release with the World.” You’ll find it in the Resources section at Cision.com. Copyright © 2000-2017 BizBest® Media Corp. All Rights Reserved.